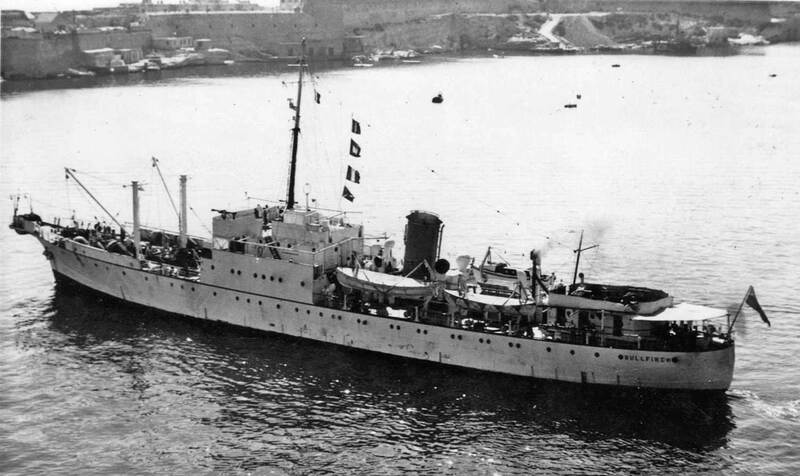 Built in 1940 by Swan, Hunter and Wigham Richardson Ltd.
One of four vessels built for the Royal Navy during World War II. Fitted with tanks with a total capacity of 11,775 cubic feet. A cargo hold was fitted forward of the No 1 tank for stowing cable buoys, grapnels etc. Fitted with 3 bow sheaves 3 ft 6 in. in diameter, these were replaced in 1959 by three of 6 ft diameter. Johnson and Phillips supplied a double combined paying out-picking up machine mounted on the main deck with the controls situated on the weather deck. Used for harbour defence work and also on charter to the cable companies on repair work both during and after World War II. Most of this work was done in the Mediterranean. 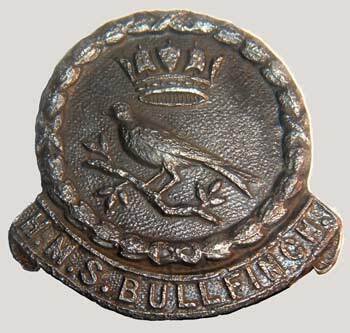 Bullfinch was operated by the Royal Navy until the 25th March 1947 and carrying the prefix HMS flew the White Ensign. After that date she flew the Blue Ensign and the prefix changed from HMS to ACS (Admiralty Cable Ship). This was changed again in 1970 to RMAS (Royal Marine Auxiliary Service). Based at Turnchapel, Plymouth until taken out of service on the 8th August 1975 and then sold for scrap in the summer of 1976.